Love your local music scene? Give back and volunteer at the Jam Room Music Festival on November 12th. 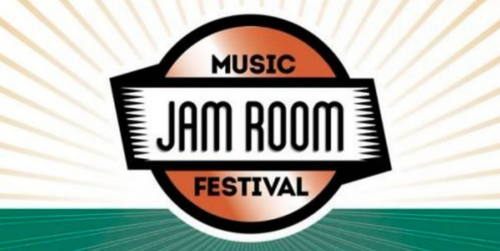 Jam Room Music Festival is Columbia’s premier music festival and they’re currently looking for volunteers to help get the word out about this exciting event. Volunteers will be working at events throughout the next two months to get the word out about the lineup and festivities. We are also looking for volunteers to help manage the event on the day of! The Jam Room Music Festival has announced the full lineup for it’s 2016 event. This free festival and all-around street party takes place at Main and Hampton Streets in downtown Columbia from noon -10 p.m. on November 12. This year, the main stage features the Mountain Goats’ indie-folkrock currently emanating from Durham, NC. The Mountain Goats began in the early nineties with frontman John Darnielle and Rachel Ware. While Darnielle remained the core, and often only, member of the band for several years today the duo is filled out by bassist and vocalist Peter Hughes. The Mountain Goats released their 15th album, Beat the Champ, last year on Merge Records. Also on the bill is North Carolina based folk trio Mount Moriah. Mount Moriah formed from a record-counter friendship between singer Heather McEntire and guitarist Jenks Miller at Schoolkids Records on the University of North Carolina campus. Both had a mutual interest in classic American folk and country music and with Casey Toll on bass the band started recording. Mount Moriah’s third full-length album, How to Dance, brings soulful color, confidence, self-direction, and joy from a deeply southern perspective. And get ready to dance! The Jam Room Music Festival is excited to bring the Raleigh based funk stylings of Boulevards to Columbia, SC. Jamil Rashad delivers cheeky, party-themed jams that range from raw and risqué to soulful. His debut LP Groove! delivers catchy songwriting, infectious bass lines, and plenty of hooks reminiscent of Bootsy Collins and Rick James. A strong contingent of S.C. acts always underpins the Jam Room Music Festival, and this year is no exception. Additional performances from Boo Hag, Fall of an Empire, Glass, Gold Light, Brave Baby, The Restoration, My Brother My Sister, Preach Jacobs, and Scott Low will finish out the lineup. There will also be plenty of local food vendors, craft beer, and activities for kids will also be part of the festival with more details to come a little closer to the event. The Jam Room Music Festival is sponsored by The Jam Room, The Whig, Palmetto Brewing Company, the Free Times, WXRY, and the City of Columbia.